LEDGlow's Blue SMD Interior Lighting Kit features 48 ultra-bright blue SMD LEDs housed in (4) 12" tubes that add a custom style to the interior of any vehicle! LEDGlow’s Blue SMD Interior Lighting Kit universally fits 48 surface mounted (SMD) LEDs to the interior of any car or truck for a custom, one of a kind look! This blue interior lighting kit features (4) 12” flexible tubes that are easily installed using improved automotive grade modular connectors that daisy chain each interior tube to the next. Each interior tube features 12 SMD LEDs that add an ultra-bright blue accent glow to the footwells and underneath the seats. This Blue SMD Interior Lighting Kit features a slim control box that includes 14 unique lighting patterns, 4 sound activation modes, 5 brightness levels and 5 speed levels that are easily selected using the included wireless remote or by pressing the 4 buttons located on the control box. Lighting patterns include a strobing, scanning, fading and 4 different sound activation modes that will react to the music playing inside of your car! Customize each lighting pattern by adjusting the speed and/or brightness levels to your preference. Out of the box, with 4.5’ of power wire and a pre-wired 5 amp inline fuse, this kit can be powered directly from the vehicle’s battery. For a simpler installation that doesn’t require the splicing of wire or access to the battery, other power options are available. 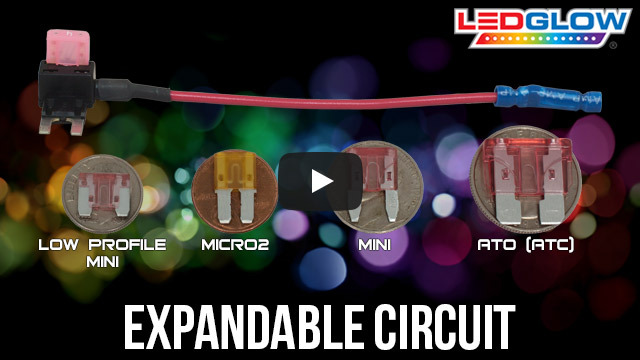 LEDGlow’s Expandable Circuit will power any lighting kit directly from the fuse box. The Cigarette Lighter Power Adapter will easily power any LED light kit directly from the vehicle’s cigarette lighter receptacle. As long as a 12 volt power source is available into which the kit can be wired, additional power options are available, allowing for extreme customization in any vehicle. Using the auto illumination bypass mode, this kit can be set to illuminate when a door is opened, when the headlights are turned on, or when the ignition is engaged. LEDGlow stands by every one of its products with a one year limited warranty and free lifetime technical support. 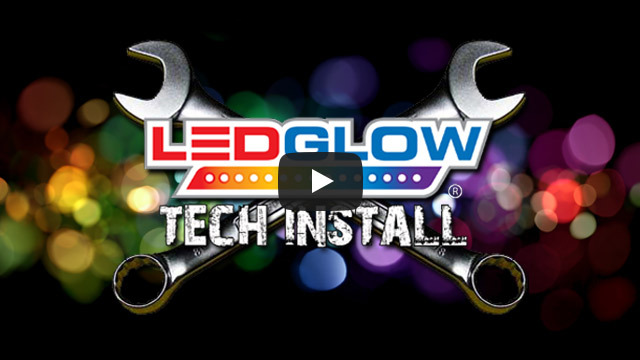 The lights are easy to install, instructions are thoroughly written, and everything you need is included in the kit. Product was super simple to install and turned out great! The blue lights look great while I roll down the dark streets. I love my smd led interior lighting! It was an easy install and I went with the cigarette plug in, but will eventually get the add a circuit! Not as bright as I thought they would be ( I got the four piece), but I can always add more if I would like! Great lights! LED Interior lighting system is great for exactly what I wanted. Easy to install, interior looks look amazing, & friends dig it. Con : no option to order dual source ( 2 input wires) for use of left or right side of car & make sure you have what you need because didnt find on website how to order more cables for add-on later.